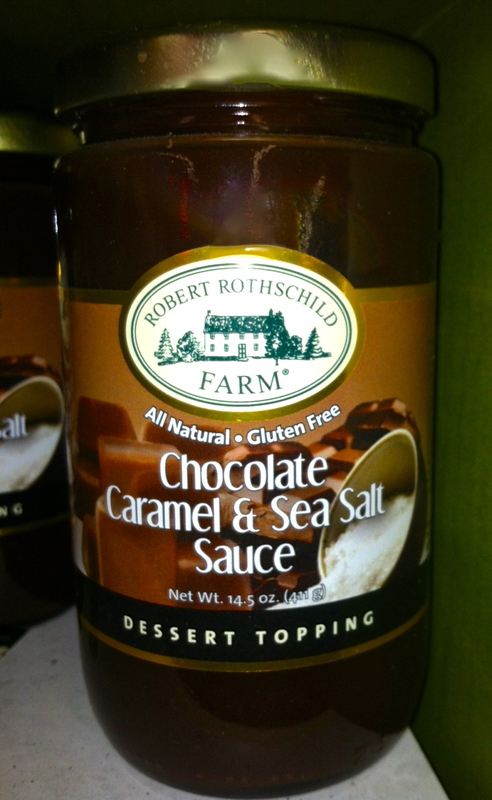 This post is overdue because Robert Rothschild Farms Chocolate Caramel & Sea Salt Sauce is way too good not to share. My brother told me how much his family enjoyed it over ice cream, and while we completely agreed, I kept waiting for a great recipe inspiration that would really do it justice. It finally came to me — cream puffs topped with Chocolate Caramel & Sea Salt Sauce. That should work! 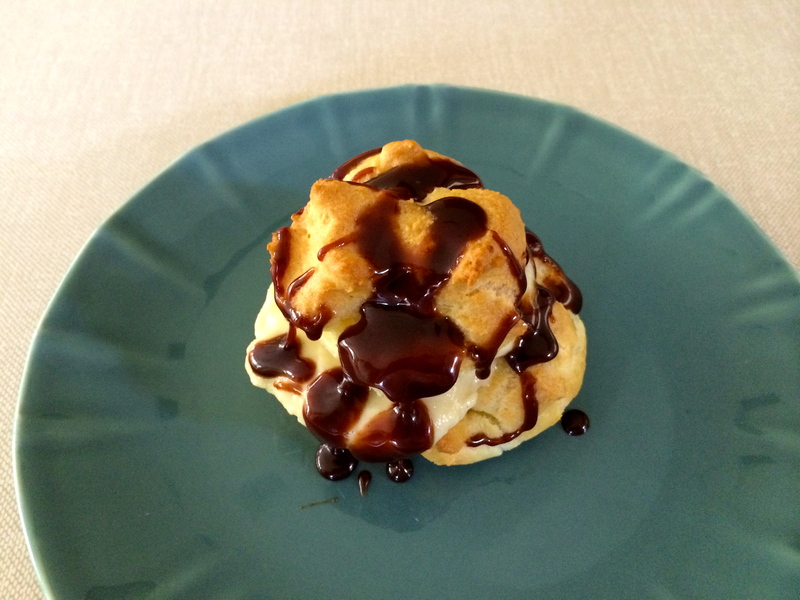 I started with a cream puff recipe from my vintage Better Homes and Gardens New Cook Book. “New” is relative in this case, as this was my first cookbook and has been my go-to resource for cooking basics for many years. The recipe is easy, but you need to be patient and beat the batter long enough to insure it will puff when baked. Melt butter in 1 cup boiling water. Add flour and salt all at once; stir vigorously. Cook and store until mixture forms a ball that doesn’t separate. Remove from heat; cool slightly. Add eggs, one at a time, beating after each until smooth. Drop by heaping tablespoons 3 inches apart on greased cookie sheet. Bake at 400° until golden brown and puffy, about 30 minutes. Remove from oven; split. Cool on rack. Makes 10. I always use my mom’s vanilla custard recipe for the cream filling. To assemble the cream puffs, heat the Chocolate Caramel & Sea Salt sauce in the microwave. 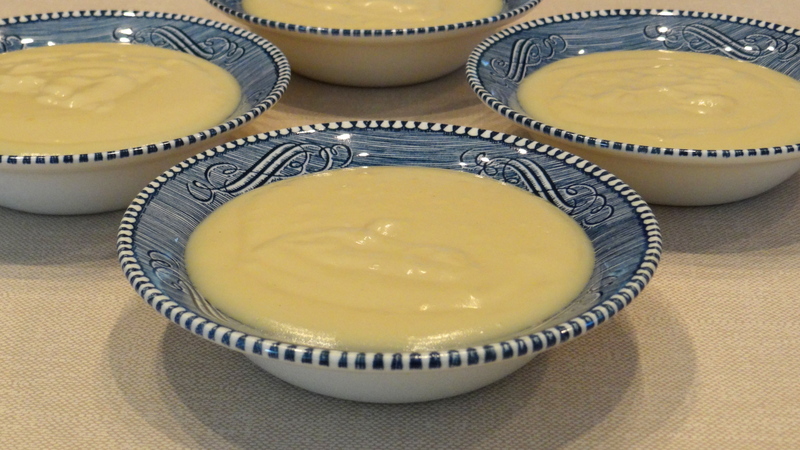 Place the bottom of a cream puff on a plate and fill with about 2 tablespoons of custard. Place the top of the cream puff on the custard, and drizzle with the chocolate sauce. I wasn’t surprised at the delighted response to the cream puffs. The chocolate sauce took them from good to great, with its dark chocolate, creamy caramel and salty bite. If you have followed our blog for any amount of time, you know my affinity for sweet and salty foods, so this is really easy to love. We already knew the Rothschild Family does savory sauces well, because their horseradish sauce has earned a reserved space in our refrigerator door. The Chocolate Caramel & Sea Salt Sauce also posted a win in the dessert category at our house!